We only sell the very best brands of e bikes in our West Jordan shop. There's a lot of electric bicycle brands out there. We trust just a few manufacturers. Not all brands are worth the cost. Some brands, like Haibike, are worth every penny. We also have a lot of their sister company, iZip Electric Bikes. 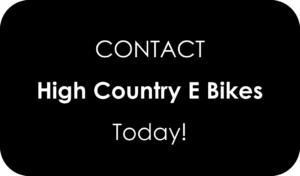 At High Country we also carry specialty-brands like HPC and Vintage Electric, offering the highest-performance e bikes on the market. At High Country E Bikes you're going to find whatever you're looking for. 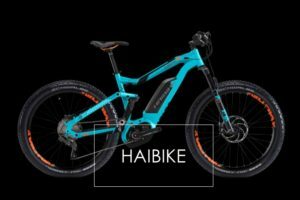 Haibike is one of our high-performance brands of electric bikes. CLICK HERE to learn more. 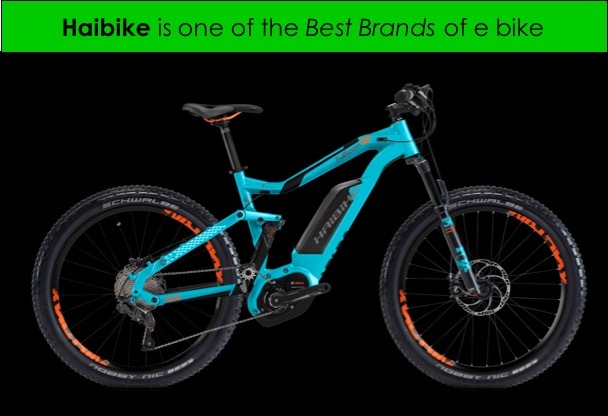 This brand of e bike has the best line-up of mountain bikes with electric powered motors on the market. With mid-drive power-systems, these are designed to offer high-torque and power to tackle hills, dirt roads, and boulders. 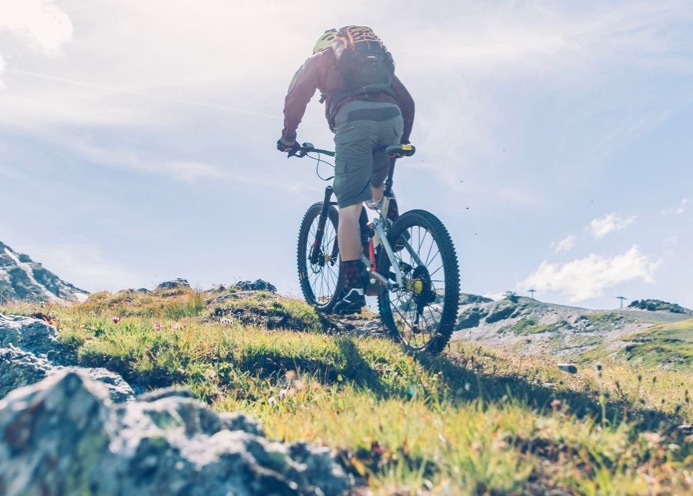 Experience the joy of riding an electric mountain bike by test riding at our Salt Lake City shop. 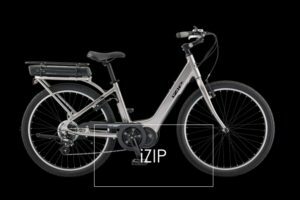 iZip is a reliable brand of e bikes. LEARN MORE about iZip. Whether you're looking for a road or mountain e bike, you can't go wrong buying an iZip electric bike. These are safe, reliable, and an excellent price for the amount of bicycle that you receive. Find a Salt Lake City dealer of iZip HERE. Trek is a respected brand in the bicycle industry. We love Trek-brand-traditional-bikes. But if you want to buy an electric bike, is Trek the right brand to choose? LEARN MORE about Trek electric bikes. ProdecoTech brand e bikes in Salt Lake City. CLICK to learn more. 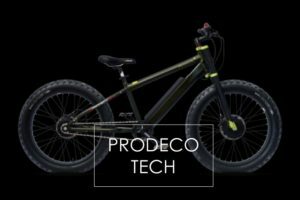 Another reliable brand of electric bike that we recommend here in Salt Lake City to our valuable customers is the ProdecoTech. We currently don't offer Pedego brand of electric bikes. They are a famous manufacturer of e bikes--the biggest in the U.S. Discover why we don't sell these bicycles and find an alternative. Audi AG recently released a show-bike prototype, called the Audi Worthersee. To see the high-performance e bike, CLICK HERE. 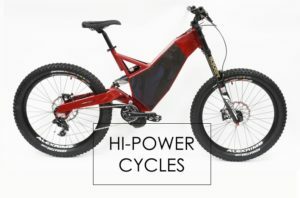 If you want to go fat, (I MEAN REALLY FAST) on an electric bike and aren't willing to wait for Audi to start manufacturing them, then look no further than the Hi-Power Cycles (HPC). This manufacturer uses highest-quality components, and Crystalyte motors, which can push some e bikes as fast as 70-miles-an-hour. Yuba specializes in some of the best electric-powered cargo bikes. If you're hauling kids, food, or you need a delivery bike for your business, give strong consideration to a Yuba-brand e bike. 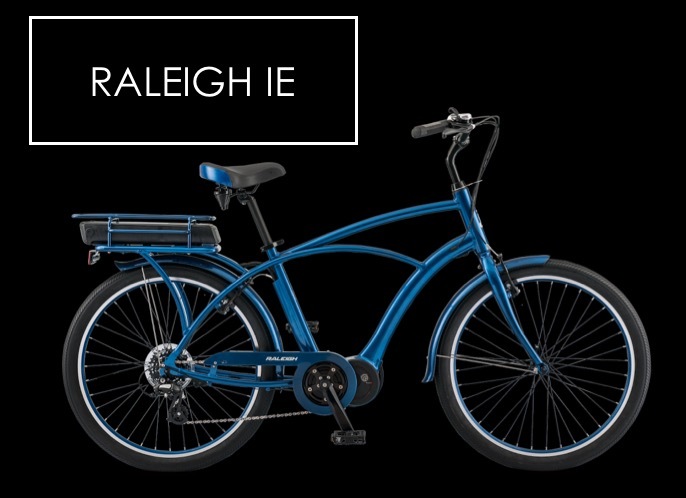 Raleigh is one of those classic brands of bicycles. They've been around for a long time. And they have a sweet line of beautiful electric bicycles, including some cruiser-style road bikes that are just gorgeous to behold! Magnum Electric Bikes sold at High Country E Bikes in West Jordan. 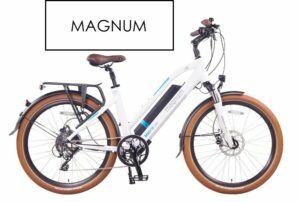 CLICK to learn more about Magnum Electric Bikes. Magnum Electric Bikes is based locally here in Salt Lake City. We've established a great relationship with them, selling many of their products in our West Jordan shop. Customers like the way they look, and the number of features offered for the price. 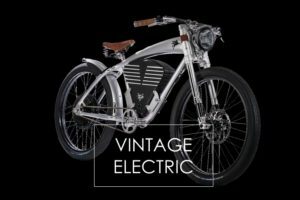 Vintage Electric are stylish & fast E BIKES in Salt Lake City at High Country E Bikes. LEARN MORE about Vintage Electric. 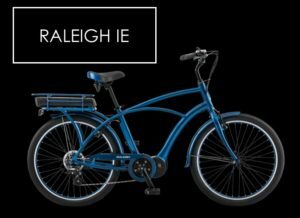 You're going to get more attention riding on the road or trail with a Vintage Electric than any other e bike on the market. These are hand-built, with a high-power Crystalyte motor that can take you as fast as 40-miles an hour. Buy one of these gorgeous, fast, cruiser-style, electric bicycles at High Country E Bikes, LLC. COME VISIT us in West Jordan, Utah. 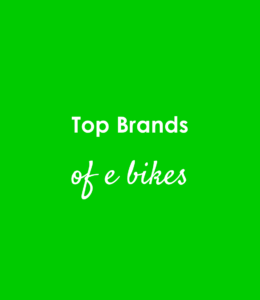 Buy one of the top brands of electric bikes today!